9 Absurd Yet Simple Fashion Hacks EVERY Girl Should Know! We’ve all wished that we could fix a certain fashion faux pas without going through a lot of hassle. But something or the other inevitably does go wrong - whether it’s an oil stain or the scratches on your shoes. 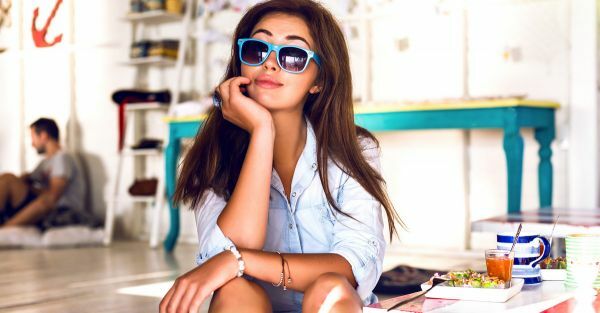 These simple and totally unexpected hacks are everything you need to know to make life easy and deal with those tiny yet stubborn fashion calamities! 1. When A Drink Spills On Your Clothes At A Party! All you need to do is grab some vodka, dip a cloth or tissue paper in it and gently rub it gently on the spot to make it disappear. Also, if you’ve spilled some red wine on your clothes, sprinkle some salt on it and then use white wine to neutralise the effect of the red wine. 2. Stubborn Marks On Your Leather Or Suede Shoes! 3. Show Love To Your Canvas Shoes! Make your favorite white shoes new again by cleaning it with a toothbrush and some toothpaste! Another amazing way to protect your canvas shoes in the rainy season is by creating a layer on top of the shoes. Rub dry beeswax all over the surface and let it settle before you wear them, make sure it’s evenly spread out. You’ve got yourself waterproof canvas shoes right there! 4. Cleaning Jewellery Is SO easy! 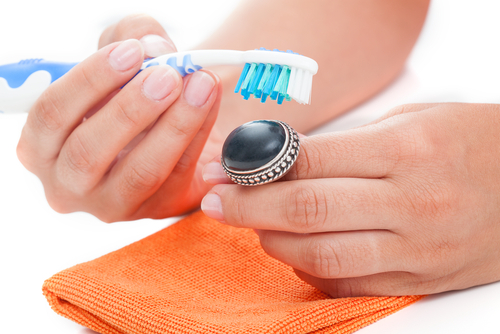 There are a hundred different ways you can clean your jewellery. But this one seems the most doable and the most effective! Pour out some ketchup on a cleaning cloth or use a toothbrush and wipe the trinket clean. Another amazing option is some lager beer in place of ketchup. Follow the same process for shiny jewels. 5. No Iron Available? Try This Instead! Wearing crushed clothes can look quite shabby. Don’t have an iron? No problem! 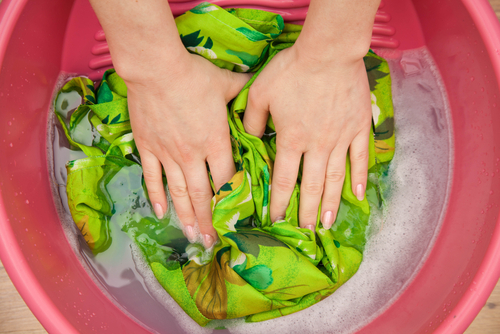 Dampen your dress by sprinkling some water and use a blow dryer to remove the creases. Use a hair straightener to neaten out the collar of your shirts in the most efficient manner! 6. Get Rid Of The Smell In Your Workout Shoes! After spending hours in your sneakers and vigorous workout sessions, they can start smelling. Try this awesome trick to get rid of this smell. Get some dry tea bags and stuff it into the shoe overnight. You could also use fabric softener sheets if that’s available. Also read: Top 5 Bra Hacks That Will Make Your Life SO Simple! 7. The Ever Dicey Tights! Those thin tights have a high chance of tearing while you’re wearing them or even later. Spraying hairspray all over before wearing it makes it stronger and more averse to ripping apart. You could use clear nail paint on spots that are already torn to keep it from ripping further. 8. Random Stains On Clothes! For all the other stains, especially oil stains - use dish-washing detergents since they have strong cleaning agents to remove oil from utensils. They work on clothes too. It’s the same with makeup remover - they help in removing makeup marks from clothes too! Also read: 25 Wardrobe Essentials You Should Have By The Time You’re 25! 9. Get Rid Of Sweat Patches With These Easy Tips!